He made the commendation Monday at the foundation ‎laying ceremony of a 500-capacity CBT centre at the Aminu Saleh College of Education, Azare. 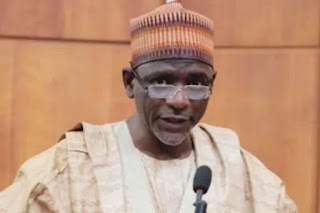 Adamu, who was represented by the Vice-Chancellor, Abubakar Tafawa Balewa University (ATBU) Bauchi, Prof. Saminu Ibrahim, said that the two bodies have created a healthy synergy to carry out the presidential directive for the establishment of the centres in order to provide easy access to candidates to carry out JAMB tests using technology. According to him, the establishment of the CBT centres has broadened access to ‎technology-based tests as obtained elsewhere in the world. The minister said that the innovations being brought by JAMB have helped in saving a lot of resources for the government which led to the remittance of billions of naira which has not been witnessed in the past.